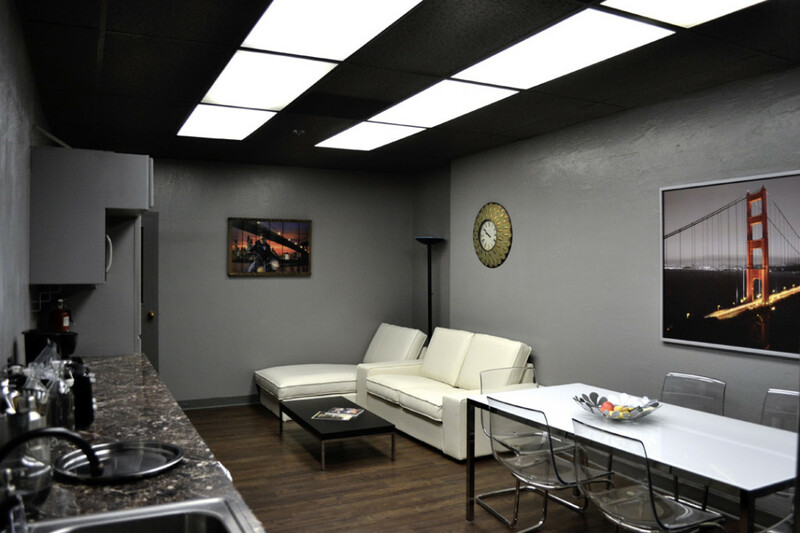 We know that with any kind of video production there can be a lot of “hurry up and wait.” So we have created some comfortable off stage areas that include a “Green Room” lounge and kitchen, with nearby restrooms and shower room. 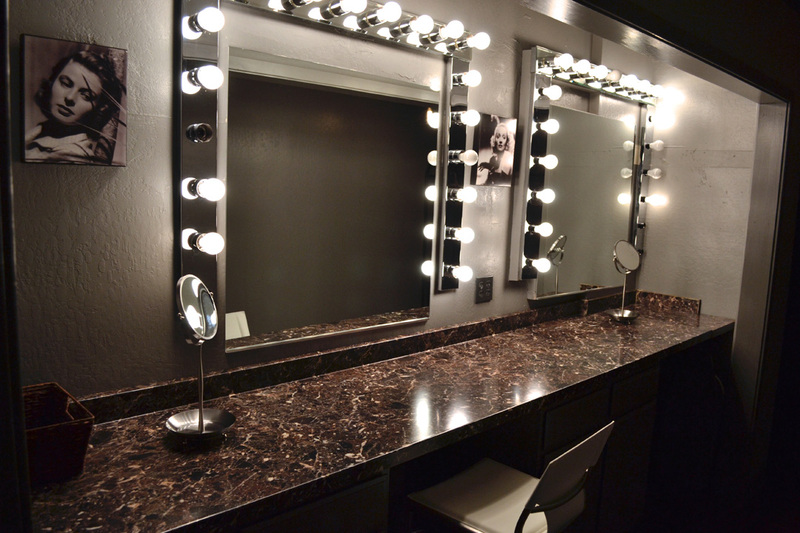 Your talent and makeup artists will find themselves right at home in the well lit makeup and costume room. An on-site shower facility is also available for more intensive body makeup and costume changes. 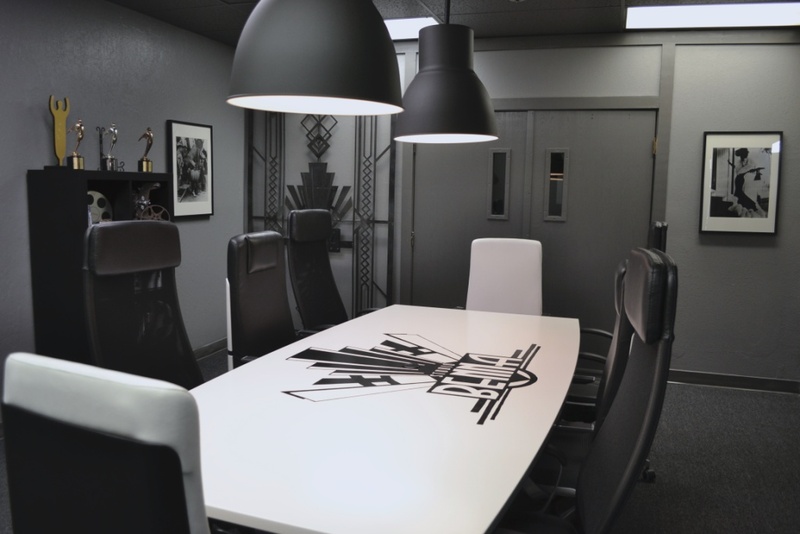 Get your creative inspiration flowing in this Classic Hollywood inspired conference room. The conference room overlooks the main production stage and opens into the client for an even larger work area. A comfortable workspace for clients spending the day in the studio. Producers and other crew can observe the main shooting stage while getting work done in a separate room. The client office opens into the conference room for an even larger work area.